For the first time since the ‘93 World Series, the Toronto Blue Jays have made the playoffs. This was by no means an accidental playoff berth, people saw this coming. The Blue Jays currently have the best lineup in the entire league, and by no small margin. Much (though certainly not all) of Toronto’s success this year can be attributed to the excellent play of AL MVP candidate Josh Donaldson, who was acquired over the past offseason from the Oakland A’s. By picking up an ace pitcher in David Price and an All-Star shortstop (with team control through 2020) in Troy Tulowitzki at the trade deadline, (Blue Jays’ General Manager) Alex Anthopoulos injected the squad with the firepower needed to surge the team into the playoffs. Now remembering that this team had not seen a playoff game since 1993, I would find it safe to say that Alex Anthopoulos was doing his job very well. Then suddenly, on October 29th, Anthopoulos left the Blue Jays. Given the historical and short term circumstances of the situation in Toronto, there has to be an in-depth, underlying reason for the sudden departure of Alex Anthopoulos . 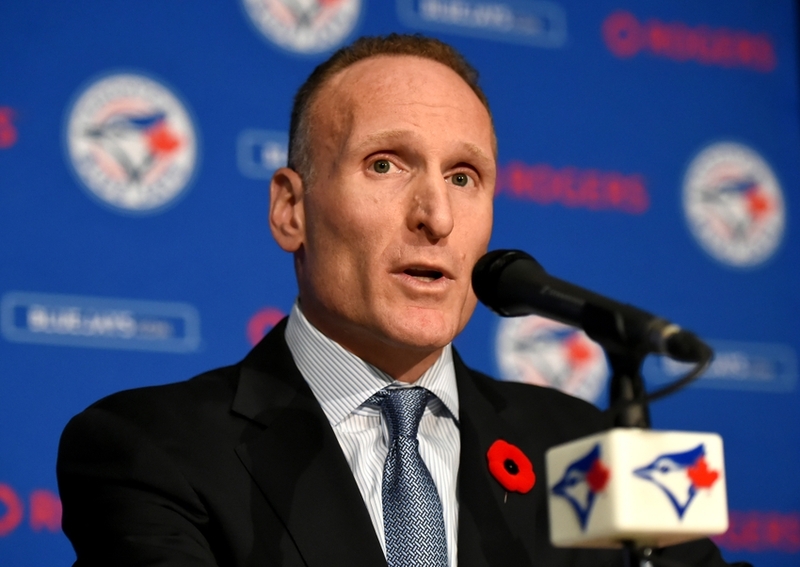 Many are attributing this sudden turn of events to some reported tension within the Blue Jays organization, following the club’s first meeting under recently hired Team President Mark Shapiro. According to TSN’s RIck Westhead, Shapiro was “scolding” Anthopoulos and other front-office staff for trading so many high-level prospects to obtain Tulowitzki, Price, and others. It has also been assumed that part of Anthopoulos’ decision to leave was influenced just by the hiring of Shapiro, with the implication that his role with the team would be diminished. It would be foolish to say that the reasons mentioned above did not play a role in Anthopoulos’ decision, but I feel that there is more to this situation. I feel that the aforementioned tension is certainly part of the story, but it only alludes to the true cause for the departure of Alex Anthopoulos. During the post-game interview following Toronto’s elimination from the playoffs this year, Anthopoulos did what most General Managers do, he talked about the future. He also made a point to bring up his status with the team, stating that he would not discuss those matters “at that time”. If you watch the video carefully, his facial expressions certainly imply he has something in mind when he mentions his future (and when you bring something up just to say you don’t want to talk about it, you’re implying something). For anyone that hasn’t been following the team, the root of this issue can be traced back to December, 2014. It was at that time when reports arose of the Blue Jays’ search for a team president to replace Paul Beeston . Kenny Williams of the Chicago White Sox was thought to be the prime candidate at the time, though the Sox never granted him permission to interview for the position. Following the 2014 regular season, the Blue Jays has just failed to reach the playoffs despite being heavily expected to. Needless to say, fans and analysts were disappointed with the Blue Jays. It was becoming apparent that the team owners were starting to lose trust in their current leaders, and felt that it was time for a new face in the front office . Then the magic of baseball happened, and the Blue Jays were suddenly juggernauts. The lineup was feared, the pitching was good (enough), and things were going so well in Toronto that the fans, and even the players, expecting them to win every single game. Two separate 11-game winning streaks, and an infamous bat-flip highlighted the resurgent season in Toronto. They say winning can make your problems go away, and maybe that’s what was happening for the Blue Jays. The reason I say this is because Shapiro was hired on August 30th, two months before there was any word of tension in the front office. Winning baseball games, and more specifically, winning them in October, provided a temporary distraction to the front office in Toronto. Once the hammer of elimination came down on the Jays, it was back to business, and there is no shortage of business for an MLB front office during the offseason. You can only bask in the glory of winning for so long before you remember all the things that bother you, and it was time to face the music in Toronto. While many people assert that Shapiro was the one with a problem, It would make more sense that Anthopoulos was unhappy in his situation. Following the Blue Jays’ postseason elimination, Anthopoulos was offered a 5-year contract extension, which was said to come with a “significant raise”, but he wasn’t interested. My conclusion is 100% speculation, but it would make sense to me that the search for a higher-up baseball executive was no longer necessary (or justified) in Anthopoulos’ eyes following their postseason berth. If you’ve never taken your team to the playoffs, it must be easy to understand why team owners and higher-ups would find it useful to bring in additional baseball minds, even if they get a fancy-er title. Until October of this year, that was the case in Toronto, but hasn’t Anthopoulos proven himself? The newly-popular title “President of Baseball Operations” may be something that Anthopoulos has his eye on, and there’s a chance he was hoping his ability to bring the playoffs to Toronto would be enough to prevent team owners from bringing in a new baseball guy, especially one directly above him on the proverbial food chain. Of course, like I said, the reason above is completely speculation on my part. Alex Anthopoulos and Mark Shapiro might be best friends, and he just thought it would be better not to risk the friendship. Or maybe Anthopoulos wants to spend more time with his family, or move out of Canada, who knows. All I can say for sure is that the reason for it all seems more than professional, it seems personal (and people said the situation in Baltimore was tense). ← Not the Yankees and Cardinals?